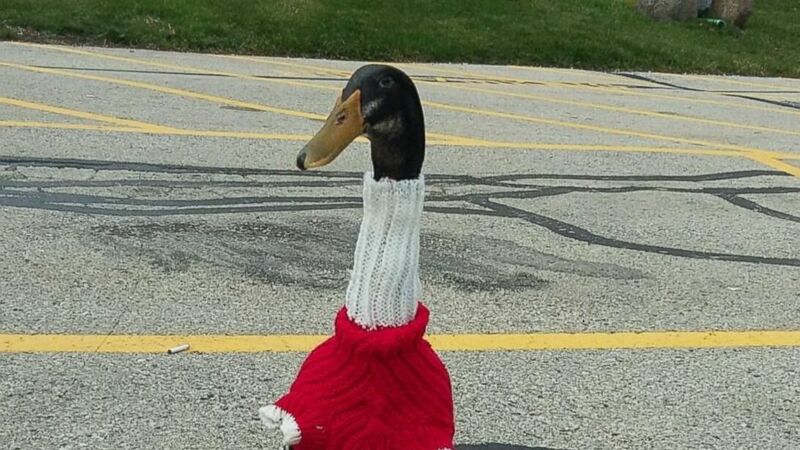 Meet Daniel Turducken Stinkerbutt, aka Daniel the Duck. He's an emotional support animal for 37-year-old Carla Fitzgerald, who has been battling post-traumatic stress disorder ever since a bad accident in 2013. Daniel rose to fame this weekend when he accompanied Fitzgerald on two airplane flights — one from her hometown of Milwaukee to Charlotte, North Carolina, and one from Charlotte to Asheville, North Carolina. 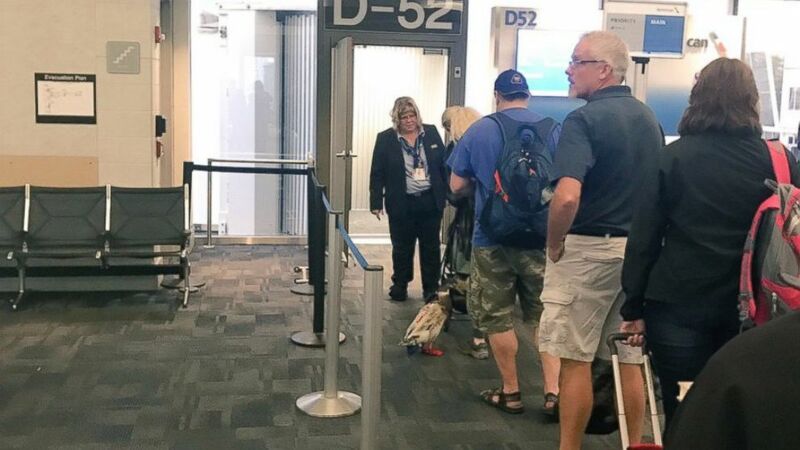 (Tom Dixon) Daniel the "emotional support" duck accompanied his owner on a short flight from Charlotte, North Carolina, to Asheville, North Carolina, Oct. 16, 2016. "Everyone just took notice of him and fell in love," she said. "I mean, he's an adorable, funny and sweet little guy. He was very well behaved at the airport and during the flight. "I think his little red shoes and Captain America diaper were also really well received," Fitzgerald added with a laugh. It was Fitzgerald's first time flying since the 2013 accident, she said. 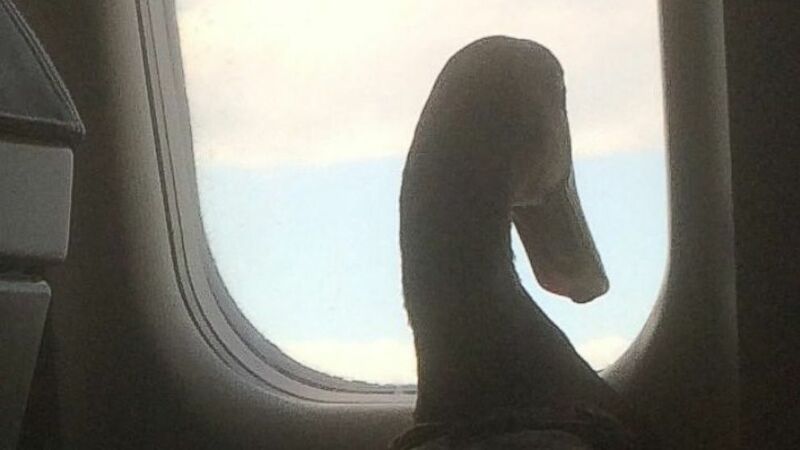 (Mark Essig) Daniel the "emotional support" duck accompanied his owner on a short flight from Charlotte, North Carolina, to Asheville, North Carolina, Oct. 16, 2016. Fitzgerald said she was "incredibly nervous" — given that "just leaving the house can be terrifying" — but Daniel's "hugs and kisses" gave her the "comfort and confidence" she needed to make it through. She added that Daniel has been a help to her "in so many other ways." For example, she said, he can tell when she's about to have a panic attack and even puts his feet on her chest as a cue to lie down. 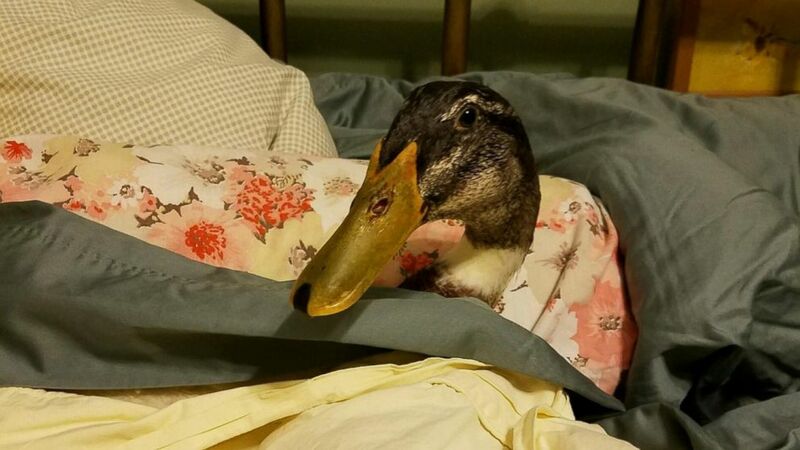 (Carla Fitzgerald) Daniel the duck is an emotional support animal for 37-year-old Carla Fitzgerald from Milwaukee, Wisconsin. Daniel provides comfort for Fitzgerald, who has post-traumatic stress disorder. She said her doctor has written her a letter attesting that Daniel is an integral part of her PTSD treatment. She added that she used the letter to get clearance for Daniel to join her on their recent flights. "Some people have therapy dogs. Others have cats. I have a duck," Fitzgerald told ABC News. "I hope more people can accept that a duck can make a very good, loving and loyal companion and support animal."